NEW DELHI: Data analytics company Qliksaid that it has appointed Arun Balasubramanian as its Country Manager for India. In his role at Qlik, Arun will be responsible for leading and expanding Qlik’s operations in India. His deep experience in the Indian IT market and with cloud and subscription delivery models will add greater depth to and drive growth for Qlik’s countrywide operations. Arun will report to Julian Quinn, Regional Vice President, Asia Pacific. With over 20 years of experience in the IT industry, Arun has a distinguished track record of sales and market accomplishments in India, and has held senior executive positions at HP, CA Technologies, and Salesforce. Prior to joining Qlik, Arun was spearheading Microsoft’s Cloud and Enterprise business in India, and was responsible broad set of products including Azure, SQL and IOT. He also worked closely with go-to-market and alliances teams to increase the brand’s footprint across enterprise, commercial and public sector clients. Before joining Microsoft, Arun played a vital role in delivering strong growth for Salesforce during his time as its Area Vice President – India and SAARC. Arun’s appointment as Country Manager for India is part of Qlik’s long-term vision to bring new levels of synergy at the intersection of technology, data, and business. 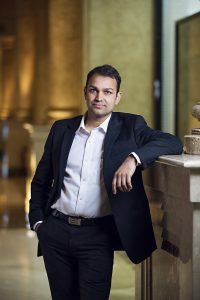 Qlik has always looked to drive greater awareness of the power of data in igniting ideas, and Arun’s experience in delivering transformational growth will be an important component towards Qlik’s plans for India. Qlik’s large and growing footprint includes over 45,000 customers globally. Local customers which harness Qlik’s platform-based approach to derive actionable insights include Bajaj Allianz, Bharat Forge, BookMyShow, HCL Technologies, Mahindra and Mahindra Limited, Mercedes-Benz, and Sitel, amongst others.